Occurs annually but sparsely mainly on west Spitsbergen and Bjørnøya. 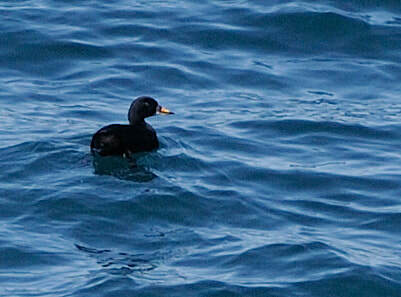 Normally appears in pairs or in groups of a few pairs or single birds. Features: 44-54 cm. The male in spring plumage is easy to recognize being all-black with some yellow on the bill. The female and young are dark brown with a paler cheek. 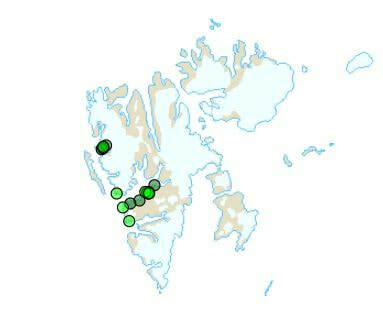 ​Breeding: Probably makes annual breeding attempts on west Spitsbergen and on Bjørnøya. Has been found breeding on Bjørnøya, in Bellsund and in Kongsfjorden. On Spitsbergen breeding has been on islets in salt water.